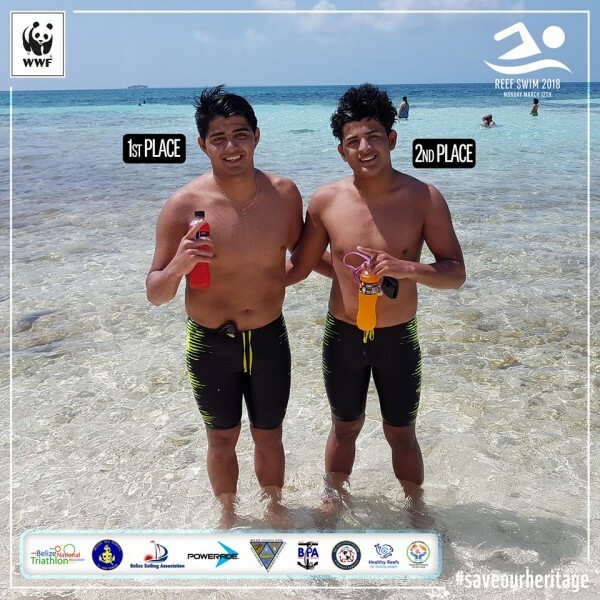 Several young swimmers from San Pedro Town took on the Annual Swim Challenge between English Caye and Goff’s Caye on Monday, March 12th and proudly excelled in the competition while raising awareness on the preservation of Belize’s Barrier Reef System. Among the 30 swimmers from across the country was San Pedro’s 13-year-old Carina Paz, who was the first and youngest female to complete the 1.6 mile swim. Brandon Santos, Jordan Santos and Kian Trejo took the first, second, and fourth place respectively. Other swimmers from the island included Robbie Zeske and Dawn Schick. The annual event organized by the World Wildlife Fund (WWF) is one of the highlights in the celebration of Oceana Belize’s Reef Week 2018. 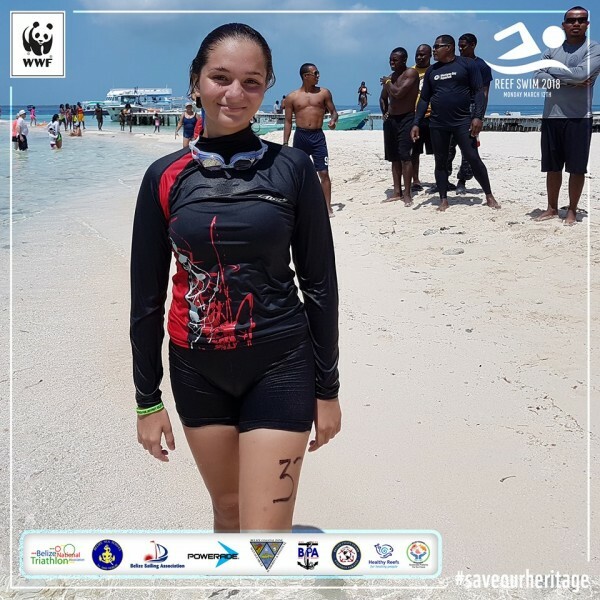 According to Amelita Knowles of WWF, each year the event continues to grow and is one of the main events during Reef Week. She stated that the annual competition draws swimmers from as far as Placencia. Knowles pointed out that the winner of this year’s event, Brandon Santos, completed the swim in about 50 minutes, while Carina Paz made it in one hour and 26 minutes taking the first place among the seven other females that competed. After the event everyone mingled and spent some quality time at Goff’s Caye, taking advantage of the beautiful weather. Participants, as well as friends and relatives, also had the opportunity to learn more about Belize’s natural marine wealth and the need to protect for future generations. Organizers would like to acknowledge the support and participation of the Belize Coast Guard, Healthy Reefs Initiative, Sea Scouts, Powerade, the Belize Triathlon Association, Belize Coastal Zone Management Authority and the Belize Port Authority.